Water access cottage. 1 km to shore with free parking at Whitings Landing. 2km by boat to Bala. 100 foot lot with 35 ft private dock. Flat grassed area in front of cottage. Fire pit at the back. Bungalow style cottage (1100 sq. ft): LR - open to kit/dr, 'L' shaped with open high ceilings in all rooms. 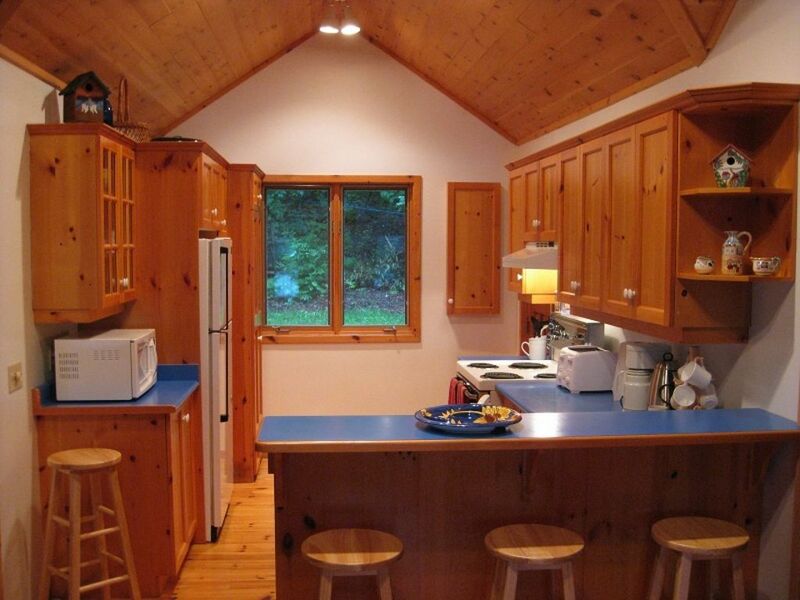 Kitchen - Well equipped with modern stove, fridge, microwave, washer and dryer and island sink facing the lake. Table seats 8, Vermont Casting wood stove, 3 Bedrooms - (1) queen, pine wood floor, (1) db, pine wood floor, (2) twin beds, pine wood floor. Ideal for 6 persons with additional sleeping on a double futon. Bathroom-1- 3 pce bathroom. A splendid large screened Muskoka Room faces onto the east lake view. This comfortable and cosy, insulated 3 bedroom bosy access cottage is located on an island in the Heart of Muskoka. A spectacular eastern exposure on level property faces wide-open view of scenic water, rocky shoreline and forest. This property offers splendid sunrises, excellent swimming and easy access to public landing and parking. The beautiful pine cottage features a large screened muskoka room, pine floors, ceilings and walls and beautiful pine kitchen cabinets. Mainland is a 5-minute boat ride to the landing; a 10-minute ride will take you to Bala by car or boat. Enjoy the lake view from front or the woods from the back deck.